There are Miracle Bars around the nation but there are a few in the hot city of Atlanta to get your festive drinking cheers on! 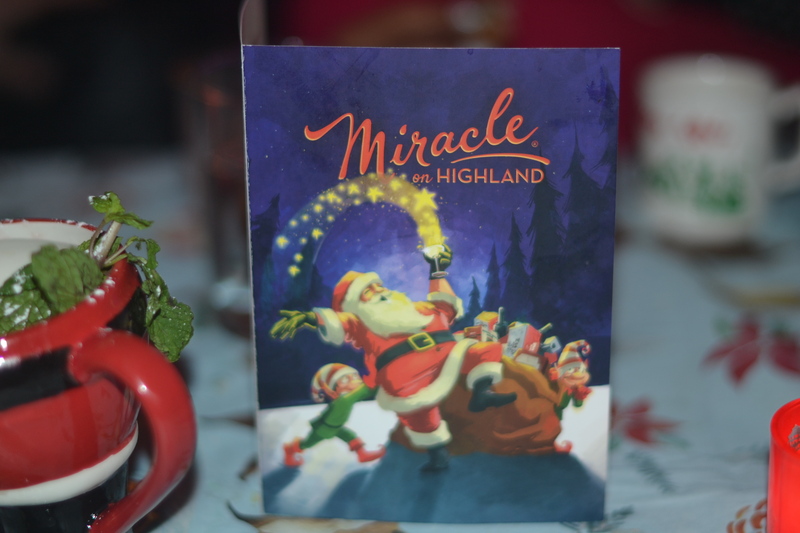 The newest one is the Miracle Bar on Highlands, which is in midtown Atlanta and an awesome hot spot for a holiday bar meetup! The best part about this place (beside the drinks and festive food options) is the decor. Another place to take fun and unique holiday photos and people wondering what kind of season shindig are you attending. Perfect place for a cozy and cute date night, ugly sweater meet up or just catching up with friends to get them in the spirit for happy hour or the weekend. 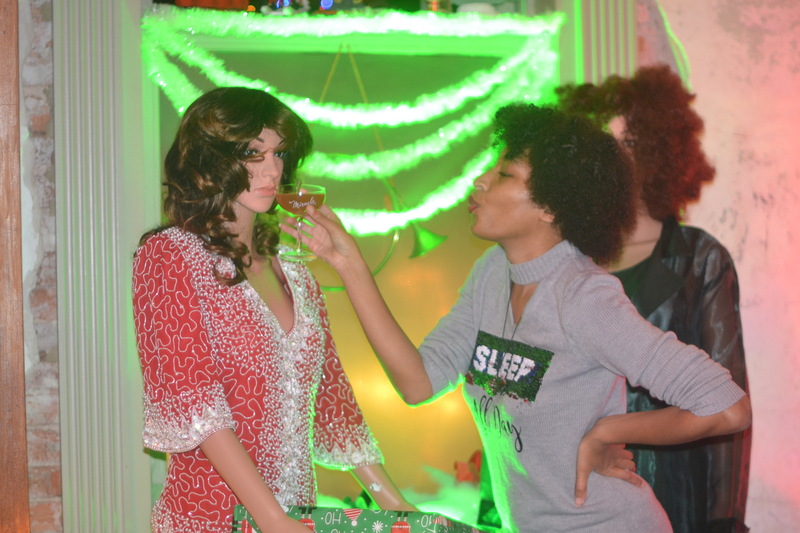 There are many place to get some holiday cheer around the city, but this is 21+ approved fun. Adults have to have their Christmas Me Time too. 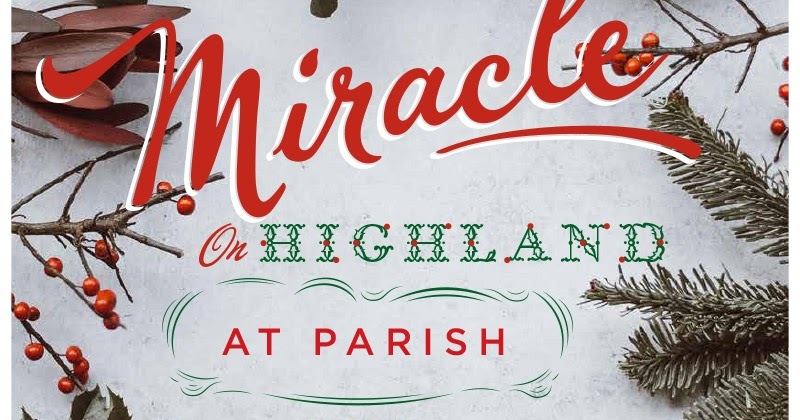 Cheers to Santa and check to see if you are on the naughty or nice list (and do so with a match shot) and check out the Miracle on Highland or any of the Miracle Bar Atlanta locations. 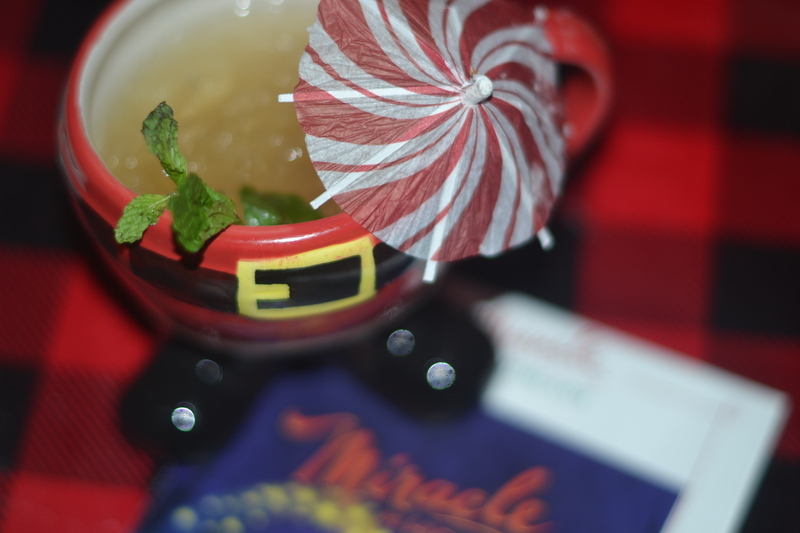 How to you like Miracle Bar as a 21+ to have some Holiday Christmas Cheer? I am yet to have a festive cocktail this holiday season, and I need to get onto this. I love the inspiration! These chrissie cocktails look delicious and the way you styled them in the cute mugs and glasses was so good. 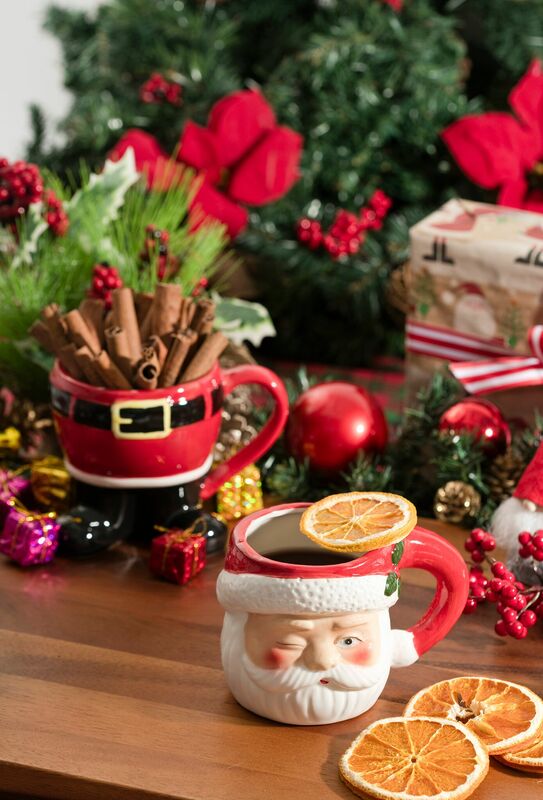 Add the kitschy Christmas and you have the perfect festive combo! Here’s to the holidays, and all the festive and creative drinks, such as these. 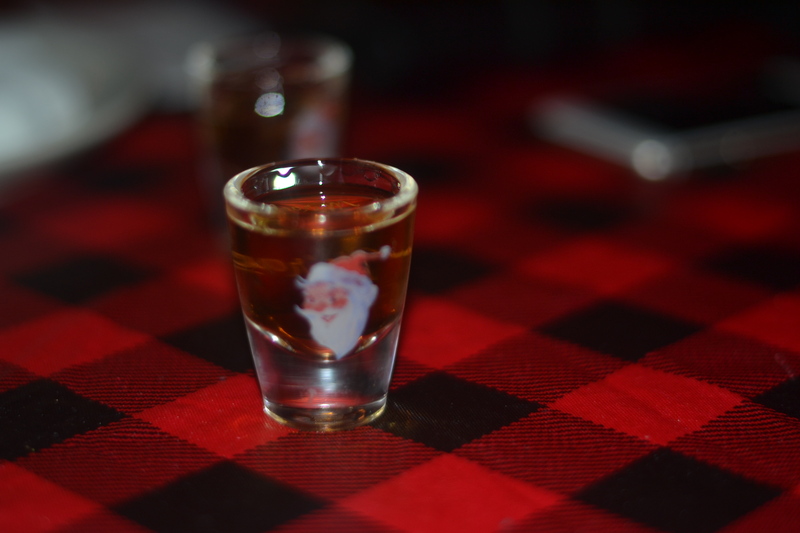 I’m not big into shots, but, it IS the holidays! The Bad Santa sounds awesome! This post was so festive ! I love the cute pictures and you definitely have me some ideas of things to do in ATL. They really go all out at this bar! I love it. The Koala La-La-La-La-La is calling my name on this Friday! That is so awesome, love the inspiration! The Christmas cocktails look delicious for sure. Thanks a lot for sharing. So festive! I wish I lived closer. Good news is I will be visiting that area before Christmas, so I will be checking it out. How festive and fun is this?! I love all the cute pictures you shared! They look like they really go all out for the holidays at this bar! I am down for all of this holiday cheer. I live for food, cocktails, and photos. 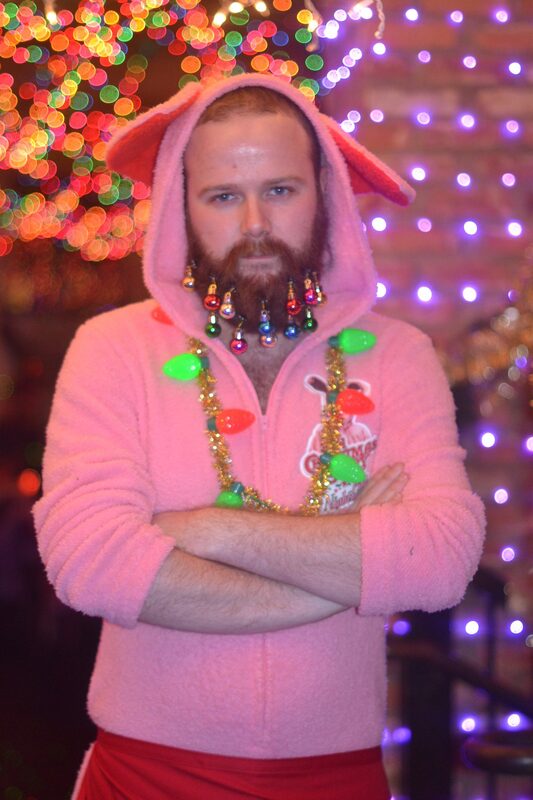 That man beard with the ornaments is hilariously cute. This is such a fun and festive post! Gave me some great ideas! I love to try some of the holiday cocktails. Look very pretty and refreshing. So happy is holiday season again. I want to hang out here!!! Looks like you had an amazing time. I love when a place has a dope atmosphere and good food and drinks. Aww now I’m so in the festive mood! The mugs and shot glasses were especially adorable too! I wish I lived in Atlanta again! This looks like so much fun! I would love something like this for a date night out with my hubby! Those great mugs would be so much fun to drink out of for the holidays. I wish I was in Atlanta to sample some of those special drinks. Sure, I’ll have a Bad Santa! I’d like to visit the ATL some holiday season, and have a few drinks while enjoying the atmosphere. This looks like so much fun! I think that the atmosphere of an establishment can really add to an experience. This makes me want to experiment with “festive” drinks! This place is so kitschy in the best way possible! I’d love to try their festive drinks. They all sounds really good. Looks like a fun place to celebrate! Too bad Atlanta is so far away! That does sound amazing. I have to say I really love those mugs you have. They’re so adorable! Lots of festive holiday drinks. I love all the glasses as they are so cute. I didn’t know some of those flavours went together but they sound interesting! Love the names of the drinks too. Those santa cups are adorable. What a fun looking setting! I haven’t been to Atlanta in a few years but would love to go back and check this place out. Thanks for sharing! It definitely looks like a lot of fun. Time to get in the spirit! After I saw your IG post I sent it to a friend that lives in Atlanta. She said she can’t wait to go. Rum peppermint + chocolates sounds really amazing! Would definitely try these drinks out! Thanks for sharing! This is a nice a place where we can have some relax time. The drinks look so good and festive! I have been to Atlanta many times but missed Miracle Bar on Highlands. It sounds like a great place to grab a drink with friends and celebrate holidays. I will definitely check it out on my next trip to Atlanta. Could you imagine being a bar tender and trying not to laugh as people say, “I’d like another Koalalalalala!”? It’s nice to see places get festive each year. Next time I’m in Atlanta, I need to visit! Thanks for sharing!! Those awesome mugs would be so much fun to drink for the holidays. I wish I was there at the event to sample some of those drinks. Love it! This looks amazing! 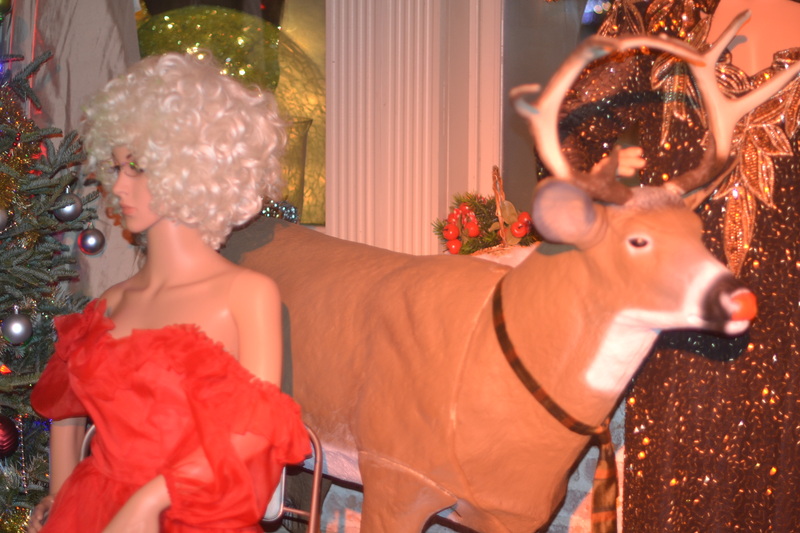 I love festive holiday events. This looks like a blast girl! 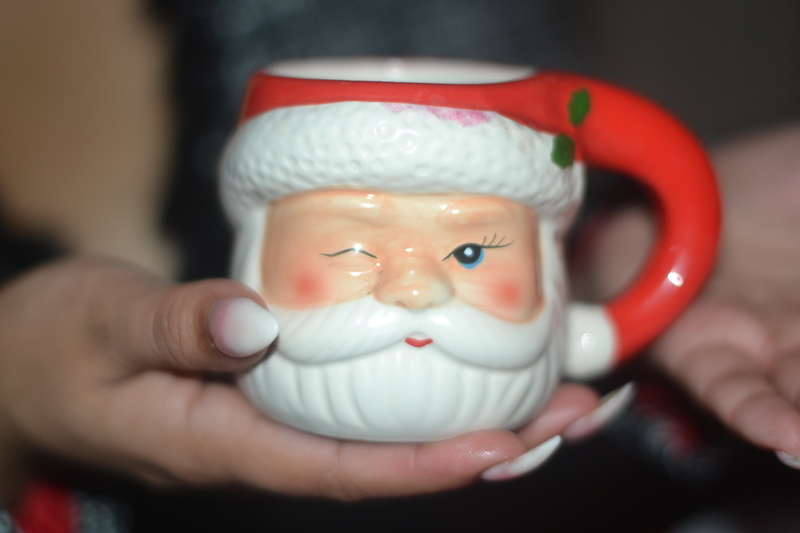 The santa mug is so cute!! 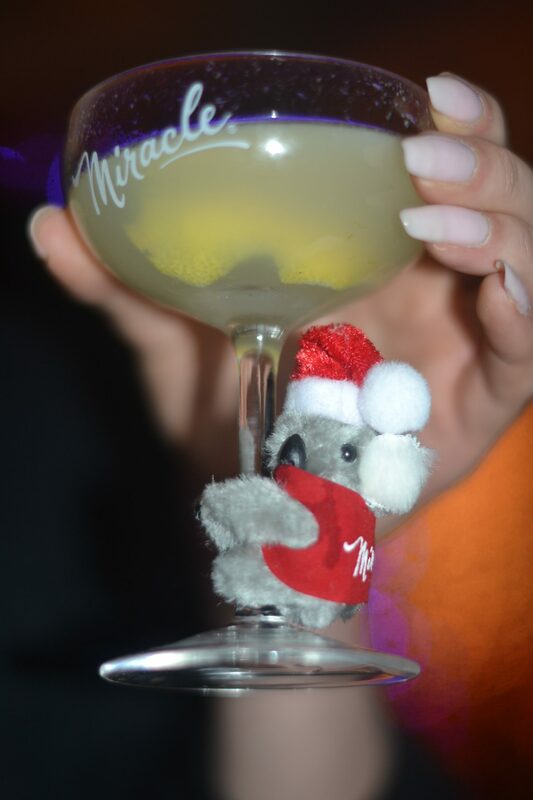 Also love the koala on the martini glass – so funny!! This looks like an interesting place. I am loving the decor. It’s so fun! Those drinks do look yummy. Oh my gosh, this place is too funny! I love the decor and could so go for one of those drinks right now!! I find the place as an exciting one to celebrate holidays and special occasions. 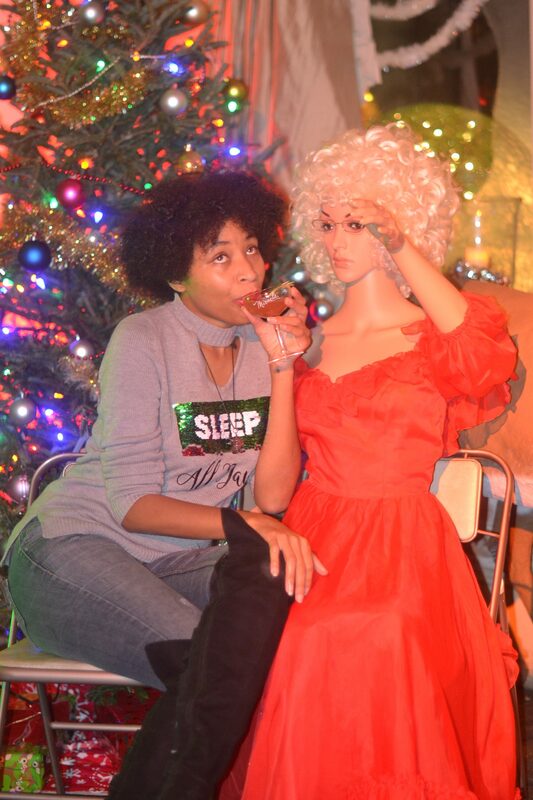 I just went to a Christmas bar here in Chicago last night and they are so fun. 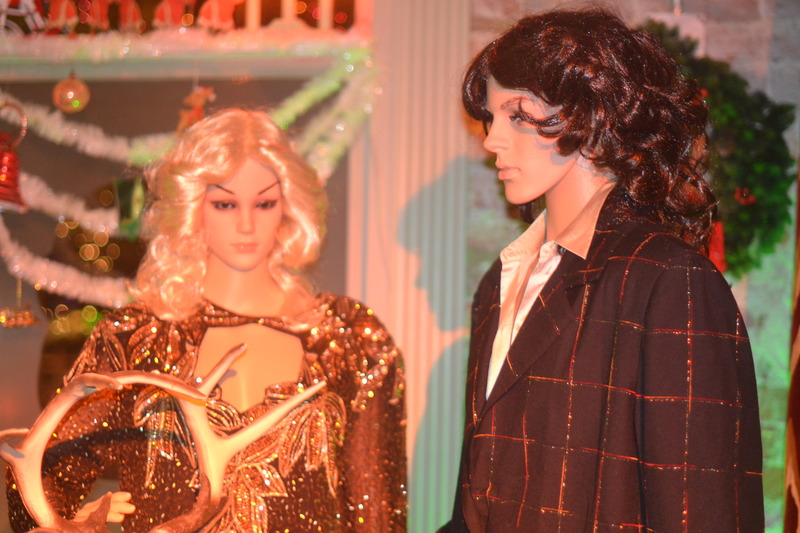 Those mannequins are kinda creepy but I am sure they make the experience even more over the top! I’m not a big drinker, but I do love a lil sumn sumn every now and then! These drinks look delicious! Thanks for introducing us to the Miracle bar in Atlanta. Looks like a cheery place. These cocktails sure do look festive. I love the Santa mug. 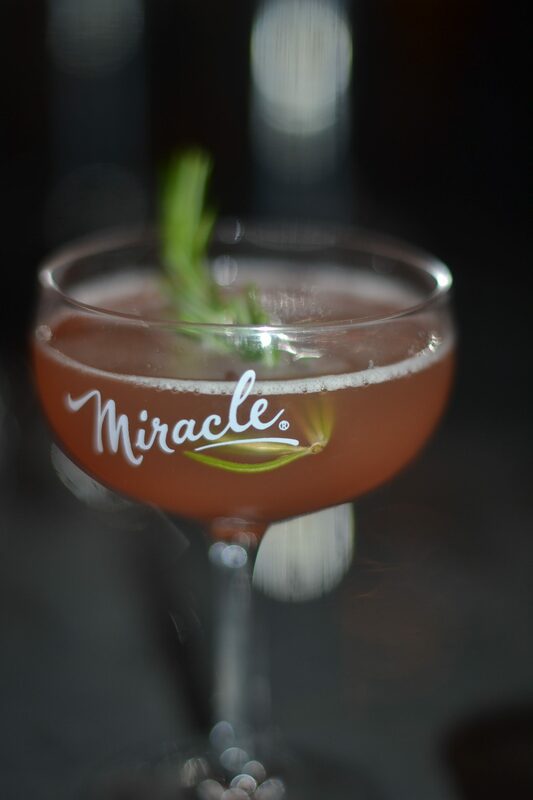 The Miracle Bar looks ready to celebrate and it looks like a lot of fun was had. I’ll take like, 6 of each of these drinks please! It reminds me of this drink my dad used to make every christmas. I can’t for the life of me remember all of the ingredients but it definitly had rum, heavy cream, and some sort of butterscotch schnapps. It was so overly sweet, but it warmed you up when it was snowing. Those Santa cups are so cute!! We will be having a Christmas party soon and maybe sharing some of these recipes. Thanks for sharing. What a unique looking place! I’ll have to try all those drinks over the holidays. 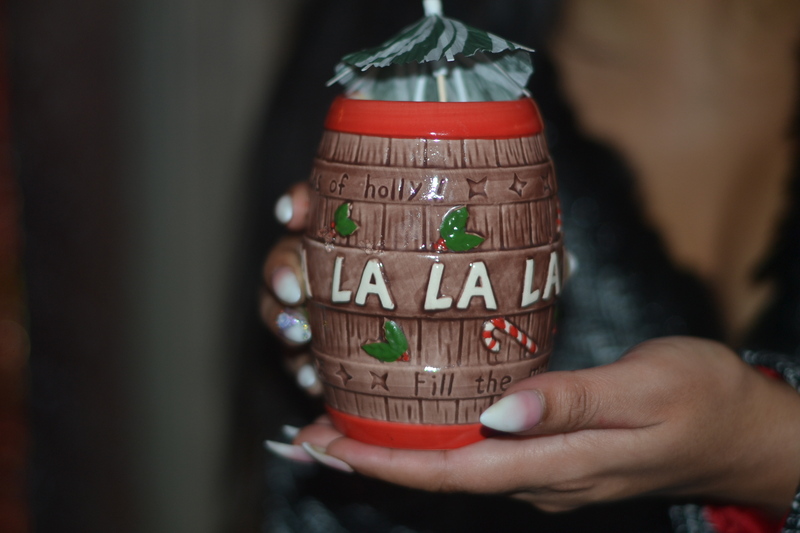 I want the Christmas Carol Barrel – Pumpkin Pie, Amaro, Aged Rum, Lemon, Bitters! It looks like a fun combination! So yummy! First of all these mugs are so cute!! I always enjoy a few new cocktails during the holidays. Your pictures are adorable. These drinks look delicious. I love the Santa cups. These cocktails looks amazing. I bet they’ll still do well even when it’s not the holidays. I love festive drinks like these for the holidays. 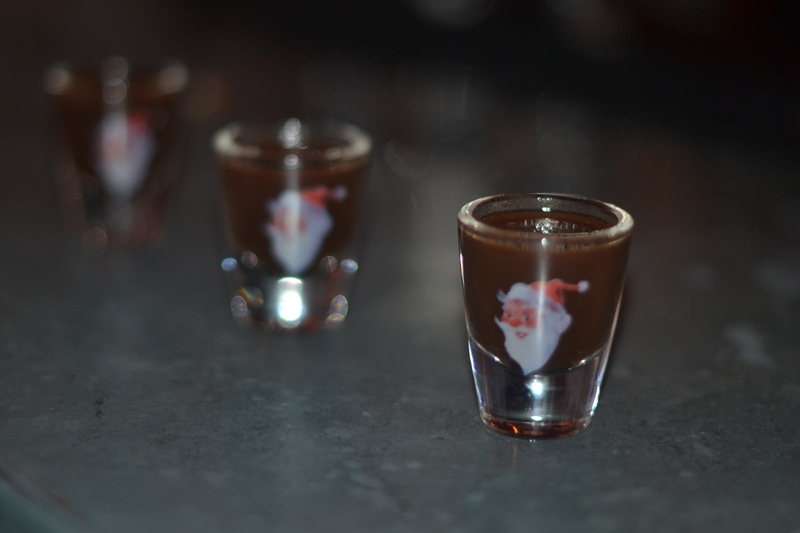 I would be all over that Bad Santa drink!